2016 couldn’t start better: Body Interact will be presented at the IMSH 2016, in the ambit of an approved showcase entry under the category “Serious Games & Virtual Environments”. 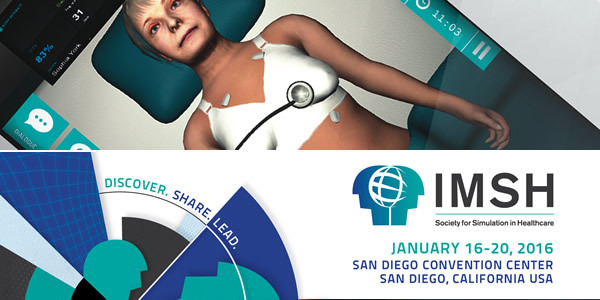 The 6th Annual Serious Games & Virtual Environments Arcade & Showcase will be held during the 16th International Meeting on Simulation in Healthcare (IMSH 2016), in January 16 – 20, 2016 at the San Diego Convention Center in beautiful San Diego, California, USA. Come and find us and experience Body Interact capabilities by yourself.